Children’s paediatric services at Boston’s Pilgrim Hospital look likely not to be closed and transferred to Lincoln - but they may be run differently due to challenges in recruitment, say health bosses. Updating on the latest progress made in maintaining paediatric services at Boston’s Pilgrim Hospital, an NHS Improvement spokesperson said: “A number of recent meetings have taken place between United Lincolnshire Hospitals NHS Trust, NHS Improvement, NHS England, Health Education England, Clinical Commissioning Groups, the Care Quality Commission and the General Medical Council to review progress in maintaining paediatric services at Boston’s Pilgrim Hospital beyond August 1, 2018. “All partner organisations are committed to supporting the Trust, and to the continued provision of paediatric and obstetric services at Pilgrim. There are no plans to close paediatric services at the Hospital. United Lincolnshire Hospitals Trust placed the paediatrics ward at the hospital under review back in April after concerns over severe staffing shortages. Yesterday (Wednesday) County Councillors asked health bosses for more detail on a back-up plan for Boston Pilgrim’s children’s ward which might have seen the service temporarily closed. Members of the trust’s executive board had voted to continue maintaining the service as it is but with a contingency plan in place, which would see a temporary closure of the inpatient ward. 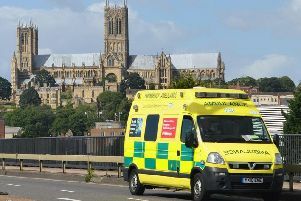 But councillors on the Health Scrutiny Panel for Lincolnshire said yesterday that more detail is needed on what the back-up plan would be should it have to be implemented. Chairman of the committee, Carl Macey, said that the plan, known as option three, needs more “meat on the bones”. “I think we are a lot better than we were when the trust first made the announcement a couple of months ago in regards to the paediatric service,” he said. “We have now got an extension to around August time before any changes are likely to happen. “At this moment in time, option three has been spoken about quite considerably. Representatives from ULHT said that their “primary effort” is to keep the service going. Dr Neill Hepburn, medical director at the trust, said that option three would only be put in place if the trust’s preferred plan to keep the ward open failed. “First of all, we want to maintain the service,” he said. “The contingency plan is what would happen if it all went wrong and we are working to obtain additional staff. “But there are some things that we need to do that we can’t delay, such as refurbishing some of the buildings at Lincoln County so that we can increase the size of the maternity unit. He added that despite the fact that the plan may never be used, the trust needs to make preparations. Meanwhile, Dr Hepburn said that talks are ongoing with Health Education East Midlands about devising a model to keep junior doctors working at Boston Pilgrim. The education body recently said that they want to see the doctors moved from Boston to elsewhere within the trust. Members of the executive board are now devising a backup plan for the service in case there is not enough staff to cover the rota on the ward as of August 1. ULHT said it has had a long-standing shortage of children’s doctors and nurses and has carried out extensive worldwide recruitment, which is ongoing and includes working with agencies and using agency staff to fill shifts. A contingency plan for the service is expected to be presented to the trust’s next board meeting on June 29. The Government has just announced an exemption on the limit to immigration numbers to allow more doctors and nursing staff to be recruited from abroad.